With warmer weather the outdoors is calling. But those of us who are physically unable to go outside and dig must satisfy our gardening instincts inside the house. The bathroom is a great place to start. Try the Draceana or "Shelfie Plant". Water with tepid water only when soil feels slightly dry. Water well until it drips from the drainage holes. Then empty the saucer. Once per week is usually enough. 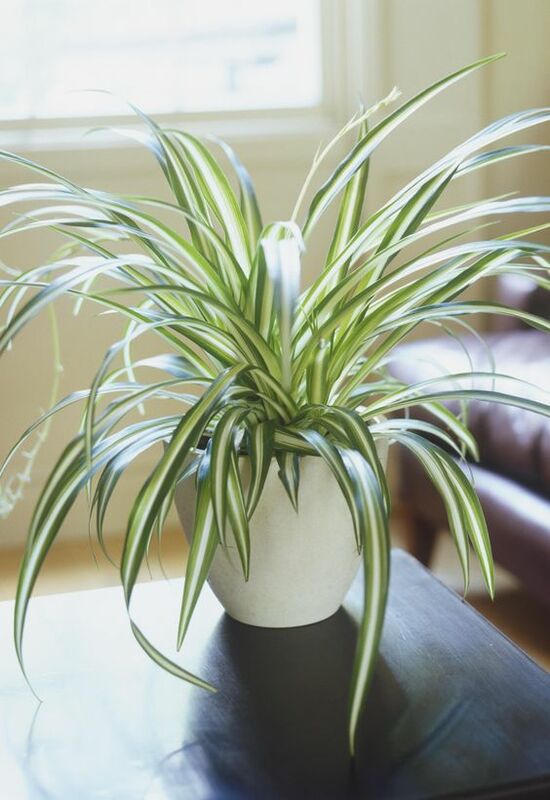 The plant likes indirect sunlight and normal house temperatures between 60 and 70 degrees. 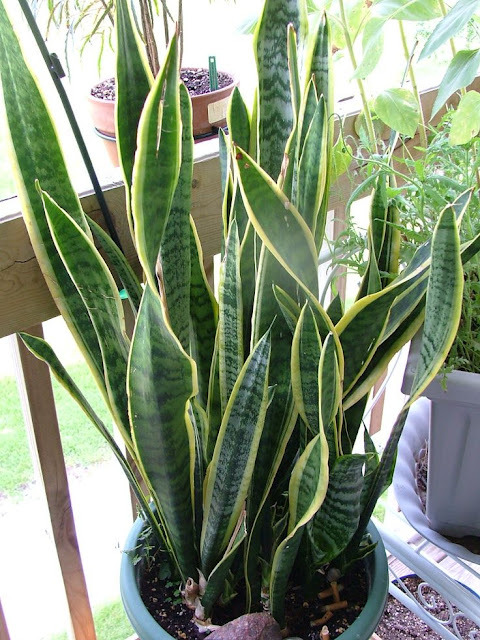 Try to avoid flouridated water as it will cause yellowing of the leaves. 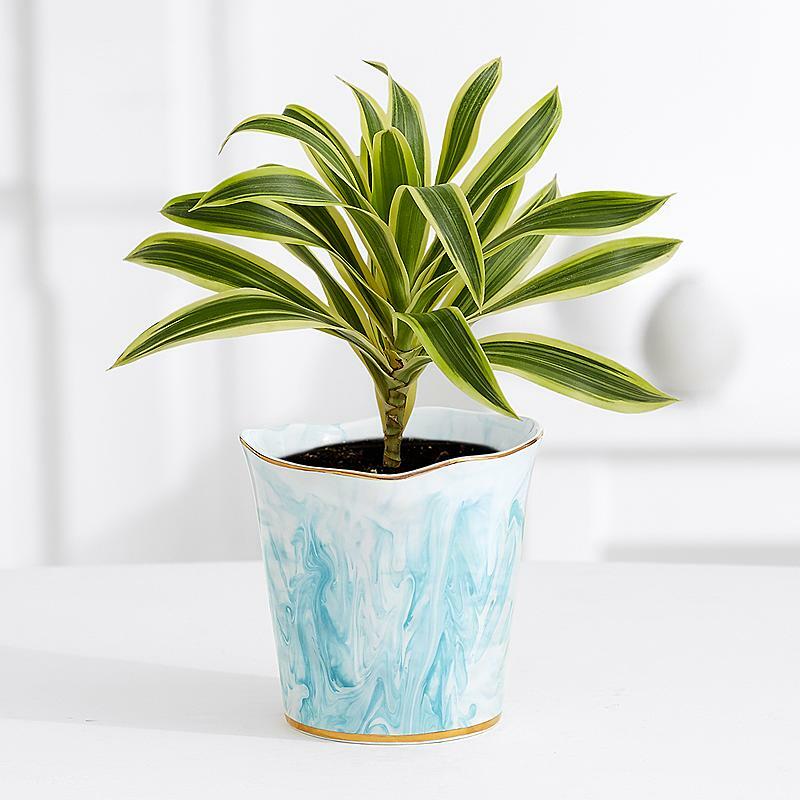 Likes bright, indirect sunlight and temperature between 65 and 85 degrees and cannot tolerate temperatures below 50 degrees for any length of time. Allow soil to dry out between waterings. Spray with lukewarm water every three days during the spring. Spray during morni g hours so that the leaves dry out before nightfall. Ferilize once a month with 20-10-20 NPK fertilizer. Repot every two years with a pot two inches larger than the one before. Sansevieria "Snake Plant" or "Mother-in-Law's Tongue"
A popular houseplant because it seems to thrive on neglect. 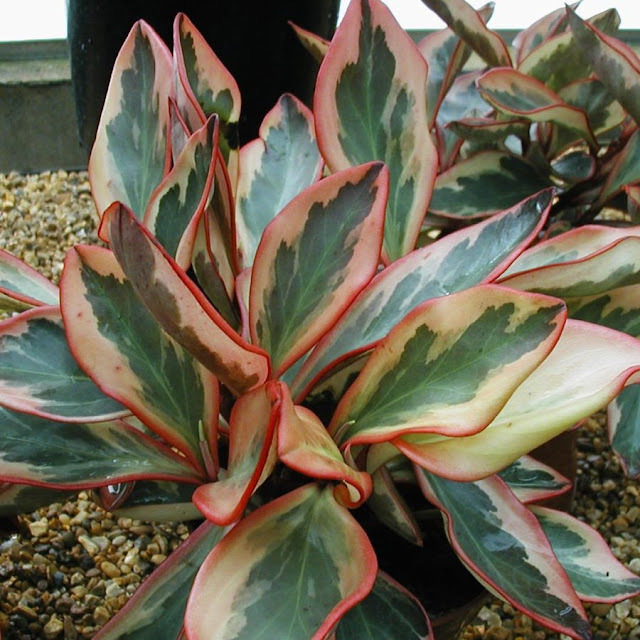 It tolerates low light levels and needs watering on every couple of months during the winter. Over watering will cause the roots to rot. It also has some air purification qualities. Removes indoor pollutants such as formaldehyde, benzene and zylene. It tolerates low light conditions. The lower the light the less frequent the need for water. Also the lower the light the more green and less yellow or white on the variegated plants. Pothos Plants should be kept between 60 - 85 degrees. Bright indirect light is ideal. It will wilt or scorch in direct sun. 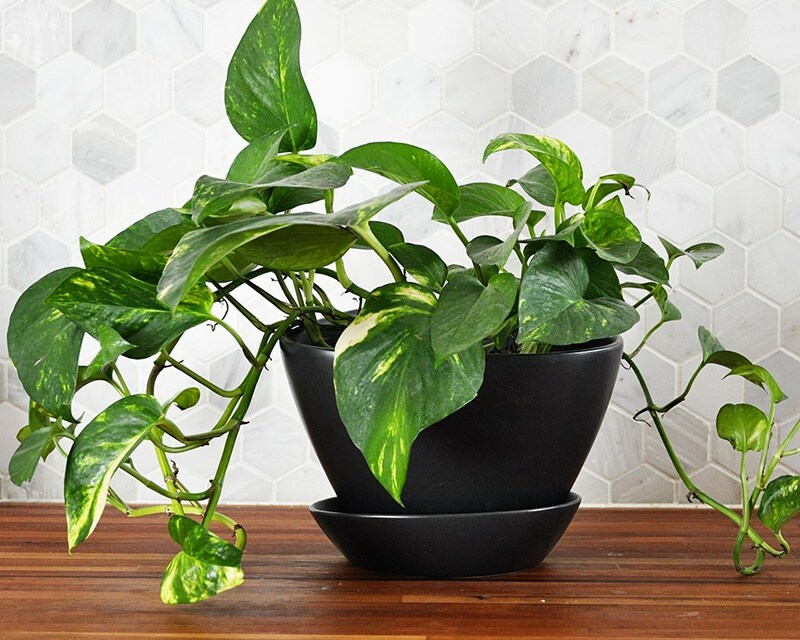 Water Pothos when the soil is dry. In the lower light of bathrooms let soil dry down to about half its depth before watering. In bright light water when just the top of the soil is dry. Lighting should be bright indirect light. I hope you indoor gardeners have found this useful.